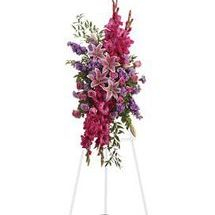 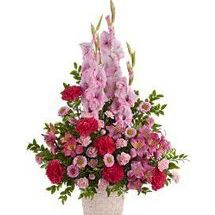 Rejoice with this softly dramatic cascade of pink and yellow blooms - lilies, gladioli and chrysanthemums - that has hints of eucalyptus and variegated greens. 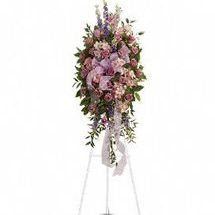 Utterly feminine, this spray is an extraordinarily beautiful way to bid farewell to someone who will remain forever in your heart. 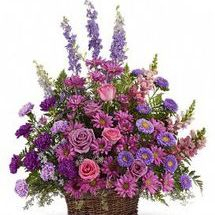 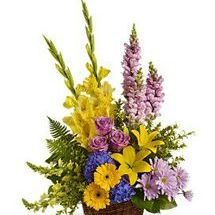 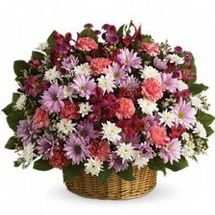 Soothing lavender, respectful purple and compassionate pinks are combined beautifully in this basket overflowing with pretty flowers, sincerity and sympathy. 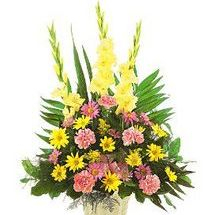 Graceful and fresh, this tropical-influenced spray sheds light on memories that will be forever treasured. 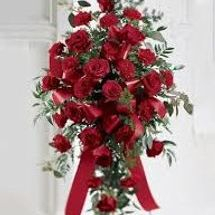 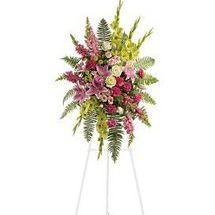 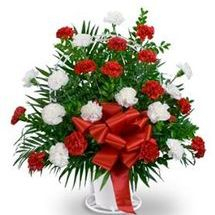 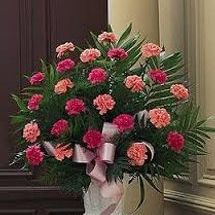 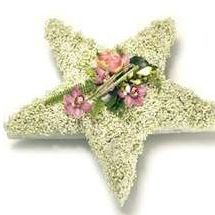 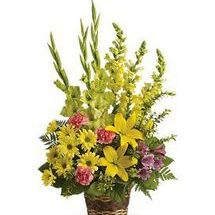 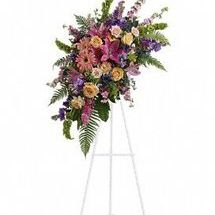 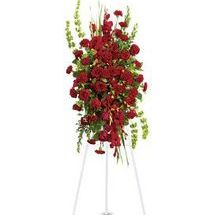 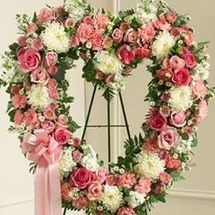 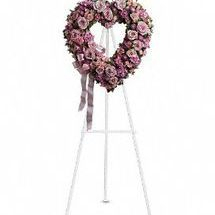 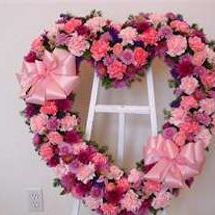 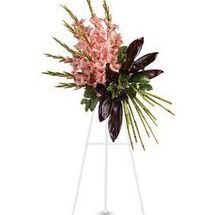 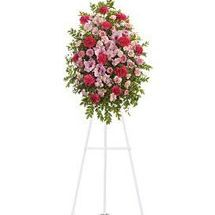 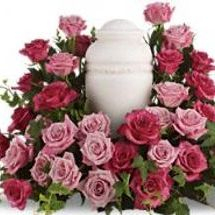 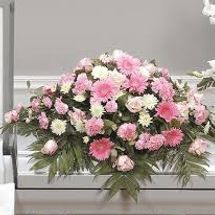 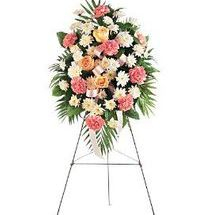 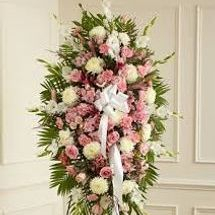 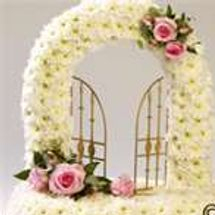 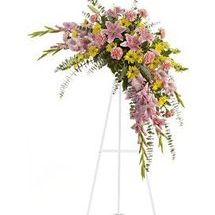 With a bounty of lovely pink flowers and simple greens this pretty spray lets you express your sympathy beautifully. 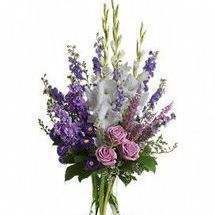 A lovely lavender spray of flowers lets you share your compassion, hope and beauty with all. 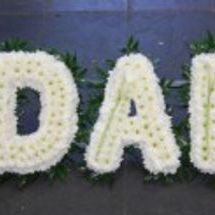 Beautifully simple. 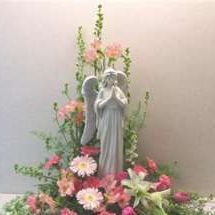 Beautifully serene. 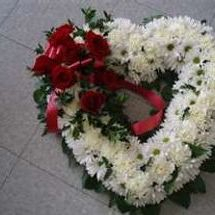 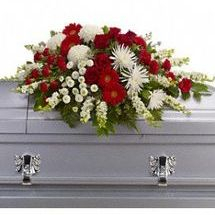 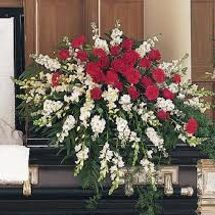 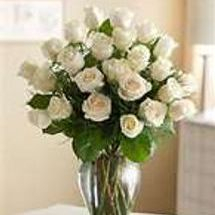 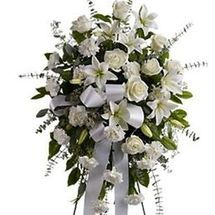 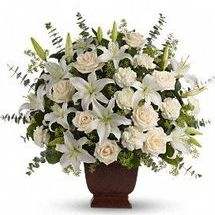 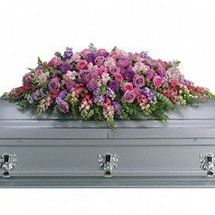 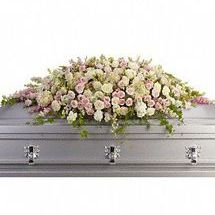 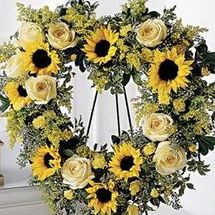 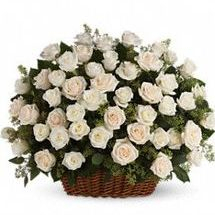 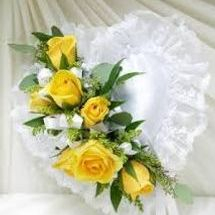 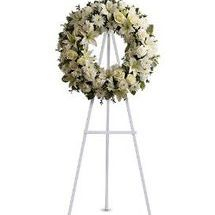 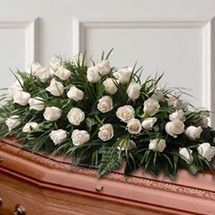 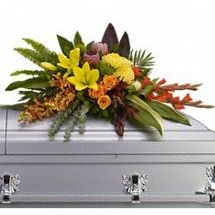 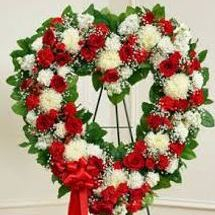 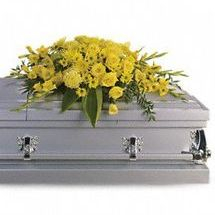 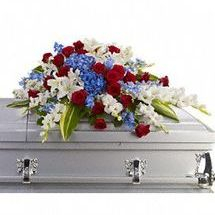 A ring of fragrant, bright white blossoms will create a serene display at any funeral or wake. 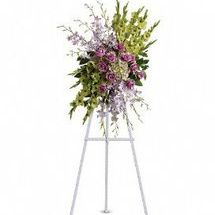 Fresh roses and opulent blooms such as orchids and gladioli - in celestial colors of green, purple and lavender - create a fine and appropriate floral standing spray. 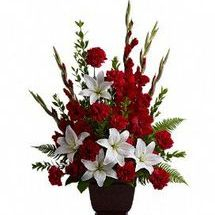 Send this gift as a representation of your thoughtfulness and devotion. 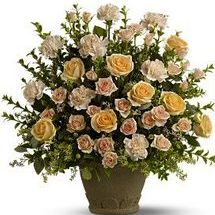 To create a truly stunning tribute, choose a magnificent, fragrant display of peach roses, spray roses and carnations - accented with greenery, and displayed in a classic Grecian Garden urn. 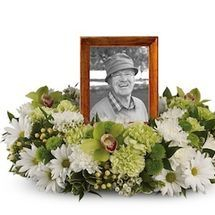 A gracious mark of respect for a life well lived. 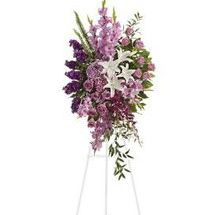 Lavender and white sympathy flowers make a grand statement in this joyful bouquet. 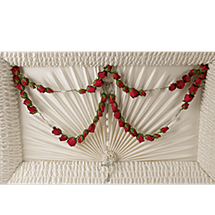 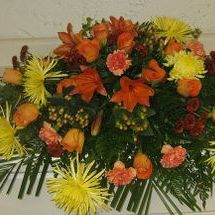 Like a heartfelt embrace, this beautiful casket spray delivers comfort and love in an extraordinary way. 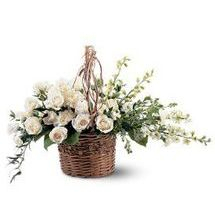 This delicate wicker basket filled with beautiful white flowers will surely spread some light to those you're thinking of. 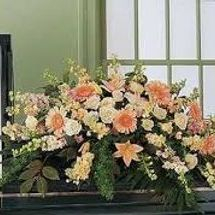 While beautiful and striking gladioli often symbolize strength and dignity, this dazzling coral display acknowledges a passion for living life to its fullest. 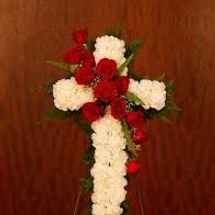 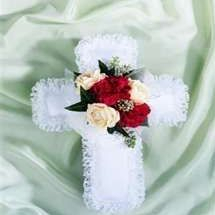 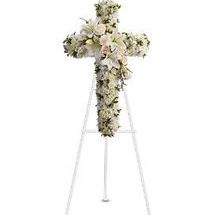 Your message of hope for eternal serenity is delivered ever so elegantly in this graceful cross. 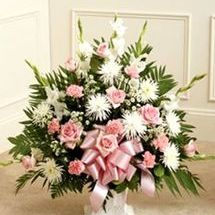 A simply beautiful way to show you care. 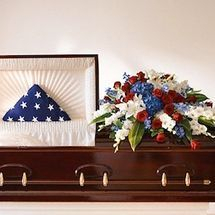 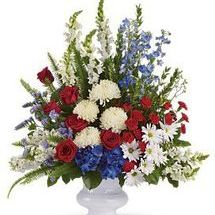 A dazzling display of patriotic red, white and blue flowers sends a silent yet poignant statement about hope, freedom and the strength to endure. 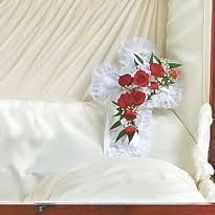 A life-affirming gift of faith and hope is always appreciated in a family's darkest hours. 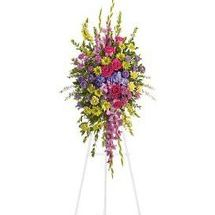 Your care and compassion will be appreciated by all who lay eyes on this radiant standing spray. 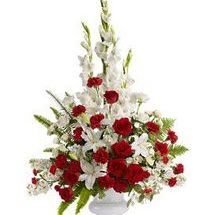 For the sweet spirits who touch our lives, a classic pairing of red and white that is both vibrant and respectful. 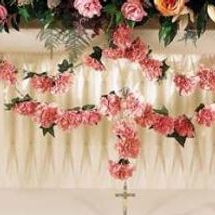 The Carnation Rosary is designed with 50 blooms. 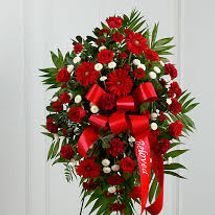 Available in red, white, or pink. 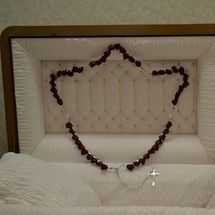 The 18 Bead Rosary offers the option of having it displayed as shown or can be worn around the hands. 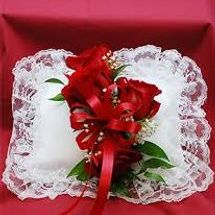 Available in red, pink or white. 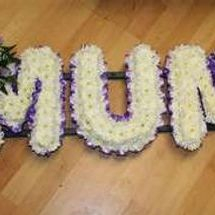 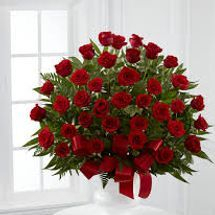 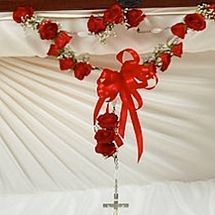 The Rosary features 50 roses and is a fitting tribute from any family member. 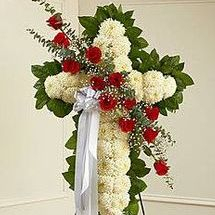 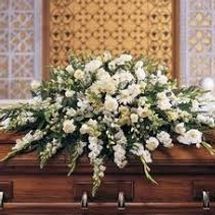 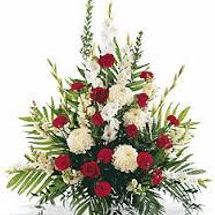 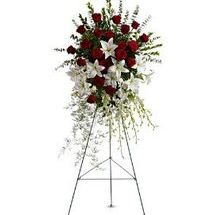 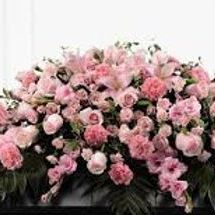 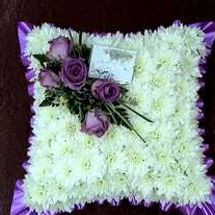 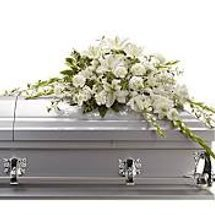 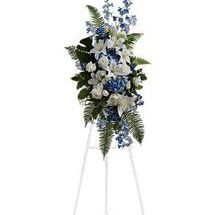 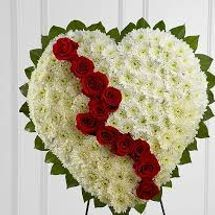 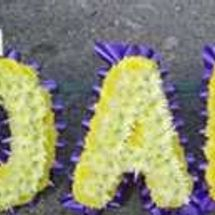 Brilliant flowers such as blue hydrangea, red roses, white oriental lilies and much more create this dignified way to honor the deceased. 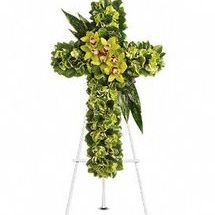 This luxurious wreath includes flowers such as carnations, chrysanthemums, silky green cymbidium orchid blossoms and variegated greenery.